The Avengers: The Lost Episodes. I say that, not only because it's an exciting addition to the BF range of audio drama, but particularly because The Avengers remains one of my absolute favourite television shows - a truly iconic series - and something which, for obvious reasons, I could never imagine having any active involvement with. 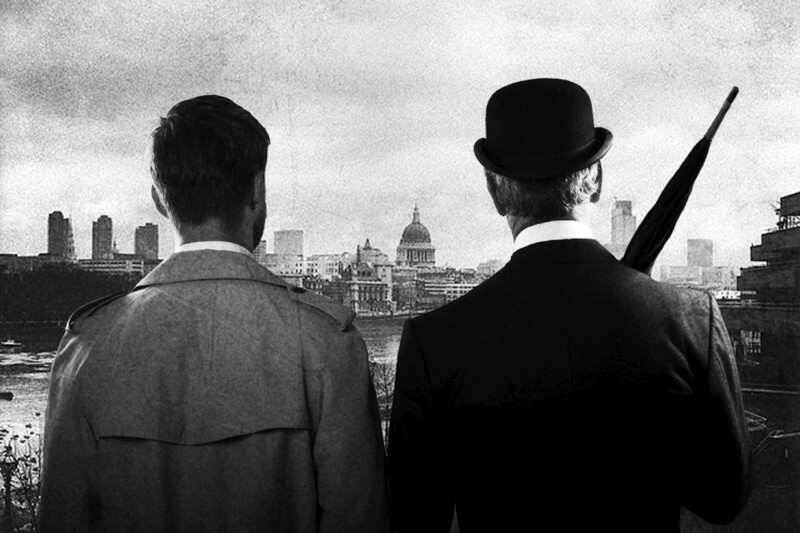 My introduction to the television series began with the 'Steed and Mrs Peel' era. The style and quirky originality of The Avengers fired my imagination and as a child, I could hardly believe that the impossibly glamorous Diana Rigg came from Doncaster - like me! This new Big Finish series goes back to the very beginning and tells the stories which have mostly been lost, indeed wiped, from television history. 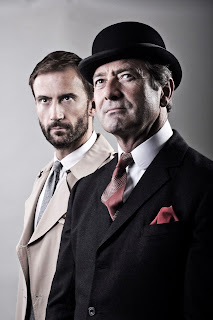 It features Julian Wadham as John Steed and Anthony Howell as Dr. David Keel. 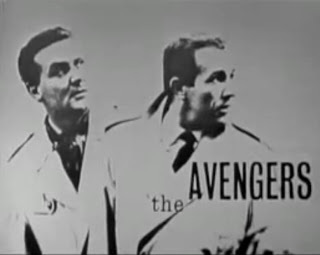 'In 1961 The Avengers burst onto our TV screens, starring Ian Hendry as Dr David Keel and Patrick Macnee as John Steed. It began with a tragedy - and then pitted Keel and Steed against the underworld over the course of 26 episodes (of which only two episodes still exist in their entirety). I am absolutely delighted to have taken part in this fantastic new series; it was indeed a privilege to work on these stories and I must thank the acting company, script editor John Dorney, producer David Richardson and director Ken Bentley for making the whole thing such a joy. The four episodes of Volume 1 are scheduled for release in January 2014 - and I really can't wait!